This landmark hearing, led by the Commission on Human Rights of the Philippines, is the fourth in the series that is looking into the role of oil, gas, coal, and cement companies in human rights violations resulting from climate change. The Commission is holding the inquiry during Climate Week NYC to facilitate receiving information about the fossil fuel industry since, to-date, the companies have refused to participate in the process in a meaningful manner. “It is time for these Big Polluters to see the faces and hear the voices of the people who have been suffering from the consequences of their ‘climate cooking’ business operations,” said Desiree Llanos Dee, Climate Justice Campaigner at Greenpeace Southeast Asia. The hearing will include testimonies of US climate scientists, lawyers, politicians, and academics who will be presenting their research into how the business of fossil fuel companies exacerbates climate change; as well as Filipino citizens who personally experienced the wrath of super typhoon Haiyan and hurricane Sandy and will share their stories on how climate change has affected their lives and livelihoods. Patrick Michaels, Director of the Center for the Study of Science at the Cato Institute, is confirmed to speak at the inquiry hearing as one of the resource persons invited by the Commission. The Cato Institute is a US-based think tank known for disputing the science behind global warming and questioning the rationale for taking action. “The Philippines human rights investigation is an important part of the rising tide in legal systems around the world to hold corporate polluters accountable for the damage caused by climate change,” said Kert Davies, Founder and Director of the Climate Investigations Center and one of the key resource persons of the petitioners. “Oil, coal, and gas companies can and should be held accountable for stalling action over the past three decades – action that would have helped save lives, property and ecosystems worldwide from further harm,” he added. The extreme heat wave that gripped parts of the northern hemisphere this summer, as well the two recent and concurrent storms in September – Hurricane Florence in the US and typhoon Mangkhut in the Philippines, Hong Kong and southern China – have highlighted the urgency to take action on climate change. In October, the Intergovernmental Panel on Climate Change (IPCC) will be convening in South Korea to present the latest science related to climate change. The full list of 47 multinational corporations includes: Alpha Natural Resources, Anadarko, Anglo American, Apache, Arch Coal, BG Group, BHP Billiton, BP, Canadian Natural Resources, Cemex, Chevron, ConocoPhillips, Consol Energy, Devon Energy, Encana, Eni, ExxonMobil, Freeport-McMoRan, Glencore, HeidelbergCement, Hess, Holcim, Husky Energy, Italcementi, Kiewit, Lafarge, Lukoil, Luminant, Marathon, Murphy Oil, Murray Energy, North American Coal, Occidental, OMV Group, Peabody Energy, RAG, Repsol, Rio Tinto, Rosneft, RWE, Sasol, Shell, Suncor, Taiheiyo Cement, Total, UK Coal, and Westmoreland. The list of resource people that will speak at the hearings includes: Marinel Ubaldo, Filipino youth supertyphoon Haiyan survivor; Cristina Cocadiz and Candice Sering, Filipino-American Hurricane Sandy Survivors; Brenda Ekwurzel, Senior Climate Scientist and Director of Climate Science for the Climate and Energy Program of the Union of Concerned Scientists; Katherine Lofts, Human Rights and Environmental Lawyer, Legal Research Fellow at the Centre for International Sustainable Development Law, and Former Executive Editor of the International Journal of Sustainable Development Policy; Kert Davies, Founder and Director of Climate Investigations Center; Sharon Y. Eubanks, Former Director at U.S. Department of Justice Tobacco Litigation Team (United States v. Philip Morris USA, et al. ); Radley Horton, Lamont Associate Research Professor at Columbia University’s Lamont-Doherty Earth Observatory; Patrick Michaels, CATO’s Center for the Study of Science Director; James Hansen, Director of the Climate Science, Awareness and Solutions program at Columbia University’s Earth Institute; Dave Estrin, Counsel, Gowling WLG Senior Environmental Law Practitioner; Cynthia Williams, Osler Chair in Business Law Osgoode Hall Law School; John Knox, Former Special Rapporteur on Human Rights and the Environment; and Daniel Zarrilli, Senior Environmental Consultant Office of the New York Mayor. 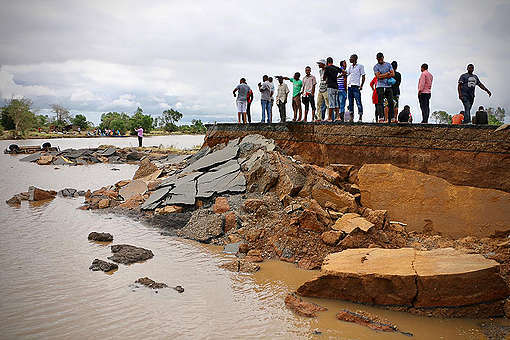 Cyclone Idai has left a path of complete destruction in Mozambique, Malawi and Zimbabwe. Roads, phone lines and homes have been destroyed and lives have been lost. I've been trying to find follow-up comments on the announcement above: "New York – An inquiry hearing on 47 multinational corporations including Exxon, Shell, and Chevron for their possible responsibility in violating the human rights of Filipino citizens, by knowingly creating climate risks through their business, will be held at the New York City Bar Association over two days on September 27 and 28.[1,2]". I've been all over the NYCBA website, and there is no mention whatoever of this "inquiry". Can you please tell me a) whether this event ever took place, and if it did, b) what the outcome was. 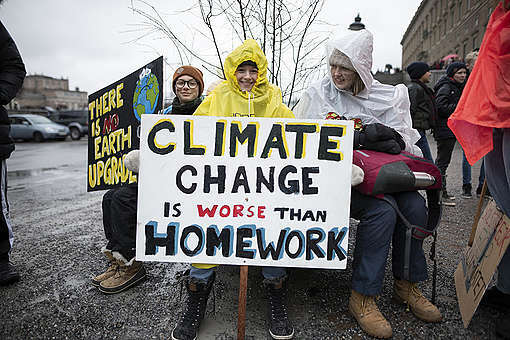 I'm a physician and co-founder of the Canadian Association of Physicians for the Environment, and doing a piece on youth activism around climate change, and I'd like to include this story in the article. Thanks. The parties are set to file their respective Memoranda and the Commission is expected to issue its Resolution sometime in July/August.